Does this Government have the money to deliver? The National Blue Green conference was on on this weekend. There was a bit of a kerfuffle within the Greens’ ranks when former Green MP Kennedy Graham accepted an invitation to speak. I don’t think too much should be read into it. He is the brother of former National cabinet minister Doug Graham and I am sure the arrangement was easy to make. And all parties should be made to confront climate change and get their heads around what is needed to address this most terrifying of phenomenon. National’s problem is that wittingly or unwittingly it refuses to accept that urgent action is required now. It has at least moved on from denial. But its current response is couched in the turgid language of compromise and it is clearly not wishing upset its right wing base, its farmer lobby or its corporate friends. At one level I can understand this. Because National’s supporters are always resistant if not hostile to change. More Kiwis want action on climate change than at any time in the past decade – but large numbers still don’t see a need to deal with it now, or even at all. Horizon Research’s latest poll was carried out after New Zealand’s hottest summer in recorded history – and some of its findings have concerned a prominent climate scientist who says the world is running out of time to act. Of 1164 adults surveyed nationwide last month, 64 per cent believed climate change was a problem, and 29 per cent of those thought it was an urgent problem. But 30 per cent thought it was problem for later or not one at all; a result that suggested more than two million Kiwis were concerned about climate change, but 960,000 weren’t so worried. The concern is down 12% from a decade ago although higher than it was recently. It seems a decade of National Government has sucked some of us into a false sense of security. Horizon Research broke down beliefs by political support and this produced some surprising results. Below is the graph. Even a majority of National supporters (54% to 43%) thought that climate change was an urgent problem or a problem that needed action now. ACT supporters were the only political supporters where a majority did not think that climate change was a major problem but this should be tempered by the understanding that it must have been hard to find enough ACT supporters to make the result statistically significant. And I would be keen to interview the 4% of Green Party supporters who thought climate change was a problem for the future and not now. But it shows why National accepts that it has to be seen to be doing something. The question is, how much is the minimum that they have to do before they start unduly upsetting their supporters and the corporates and farmers? This is something that Simon Bridges attempted to address in his speech to the Blue Greens Conference. National leader Simon Bridges has pledged his party will have a strong environmental focus with a broadchurch approach to thinking. “It’s important that we are pushing the envelope and that we hear from thinkers from a whole range of perspectives… We want to make sure that in Opposition we’re thinking things through and challenging our thinking and resetting things in some places. Bridges challenged his party, staff and supporters with “resetting our approach to environmental issues”. He said a strong economy, education, healthcare and social services were not worthwhile “if we’ve ruined the environment”. Every piece of rhetoric in the above passage is designed to say the right thing to the public at large. But after this the rhetoric starts to drift away from the reality. Bridges was “proud” of the work the previous government achieved during its nine years, introducing an emissions trading scheme, Predator Free NZ and the Environmental Reporting Act, but a continued and ramped-up effort was needed. I don’t know if that is sloppy reporting or a misspeak on Bridges part. For some reason I cannot find his speech on the web or any of his speeches for that purpose. But the fifth Labour Government introduced the Emissions Trading Scheme. National amended the scheme twice, the first in 2009 and the second in 2012. 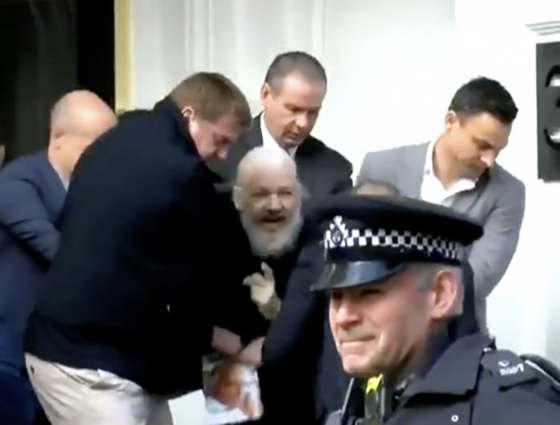 The first changes were described in a New Zealand Herald editorial as an “emasculated version of a cap-and-trade scheme” and as a “miserable offering to the international effort”. And the Sydney Morning Herald, hardly a beacon for environmental enlightenment said that the ETS had been “significantly watered down” and that it gave “big polluters a much easier ride”. The changes allowed for the unrestricted importation of overseas credits, something that caused international ridicule and opprobrium. The second changes made things even worse. The two-for-one unit surrender transitional measure was extended indefinitely beyond 2012, the entry of agriculture into the scheme was deferred indefinitely. 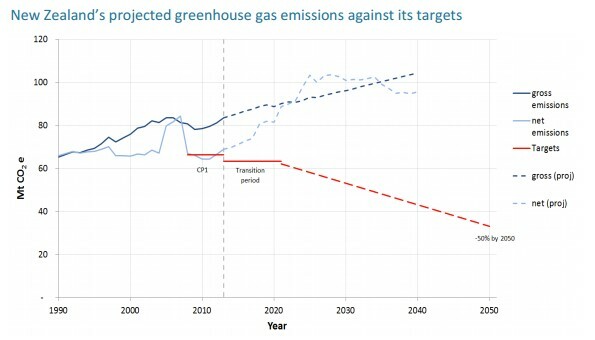 And how was National’s performance in relation to reducing climate change gas emissions? Pretty appalling as this graph shows. We are not on track to meet our requirements, we are not even being a fast follower. We are part of the problem, not part of the solution. National has clearly moved on from the old rhetoric of denial. But its latest rhetoric, that there needs to be “balance” is designed for more of the same obfuscation and foot dragging. When National comes out and say that we are collectively facing a crisis and urgent action is needed and then set out precisely what they would do including how we can deal with agriculture emissions then they can be taken seriously then they can be taken seriously. Until then they will continue to be part of the problem. 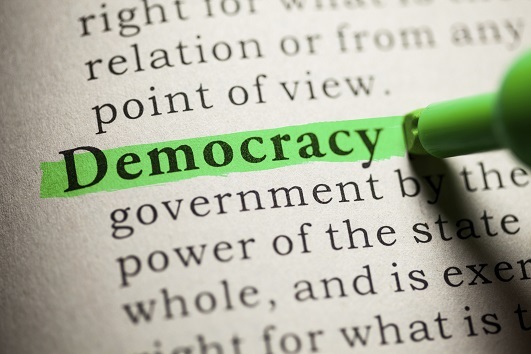 Yes National are appalling dissemblers on climate change however its pretty damn obvious that the bulk of current thinking irrespective of political leaning is ‘we must do something, as long as it dosn’t impact me’….until that changes little else will. Just goes to show national don’t care about our environment unless it involves gaining votes. hostile to change, so much for the veneer of being capitalist. Green economy is opportunity for capitalism. Capitalism is pro or anti ecology, it’s conservatism that always stands in the way of necessity, whether pro or anti green. Take recently Bridges’, Arthur Scargill moment, rant about lost jobs ‘in mine’ or be it the petrol chemical industry. So much for the entrepreneurial free market party backing change for the greater good of the economy. But that’s the b teams role, to make Nats unpalatable and so create the opportunity in four year for a new momentum. ‘As long as it does not impact me’. Agree. We can see this clearly in the current crop of Green Mps. They talk the talk but do not walk the walk. They are hugely disproportionate users of air travel compared with other MPs and Ministers. Top spending Green is 13th on the overall list, and is Marama Davidson – not sure if her travel for campaign to be Green’s co-leader is counted? next Green is Chloe at 21st, Golriz at 25th. 4 Green MPs are in the bottom 25 of reported spending, including James Shaw. All fast followers prefer to follow other fast followers. When there are only followers, how far up your a*se can you stick a corporate cliché? Answer: all the way, because everybody is behind everybody else. Bloody good article thanks Mickey well done. Listening to national Leader Simon Bridges this morning on RNZ “morning report” and his ranting at the “regional infrastructure funding” hate he had for it and that he would “bin” it if his party got in in 2020 is so laughable. This transport emissions rise alone will from road freight kill any chance of us reaching our commitment to the paris carbon emissions target if rail is not supported here as bridges has indicated to us that he is lot keen of considering national rail freight policies again as labour is doing now. It is so disheartening that very little if nothing is even spoken about rail policy at all except for Auckland rail passenger services but nothing nationally about rail. Labour in 2004 championed a new “National Rail Strategy” that now needs to be actioned as when National got in in 2009 they “bined” it. This is an excellent post summarising National’s response to do with anything for the environment. Nationalistas really don’t get the fact that if you truly care about the environment then a lot of the Green party’s social policies are needed as well to help re-balance society to enable the environment to improve. It’s just not logically possible to deliver meaningful environmental goals while putting the economy first every time. And of course that’s not to say that these Green policies will destroy the economy, but will reshape it. 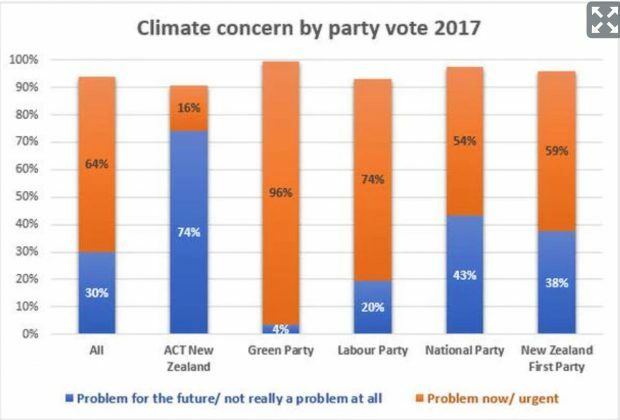 The ‘climate concern by party’ graph makes for interesting reading. All three coalition government parties have majority support for urgent action needed now. ACT of course is still in la la land, and National has managed to reach slightly over the halfway mark. They’re getting there but oh so slowly… as has been borne out by they’re past performance in government. Exactly the same situation occurred during the 60s, 70s and 80s when the anti-nuclear debates were raging. It took National umpteen years to admit to any concern and even when they did it was reluctantly conceded. It seems to be in their psyche to look backward to the past rather than forward to the future. 100 multi national companies are responsible for a large part of the climate change we are experiencing. The same companies can stand to tell us what to do if we sign up the the CP-TPP. True that is Cold Hard Truth. These 100 companies are a constant threat to the whole global population as well, and should face legal charges against humanity. we should see a global “class action lawsuit ” against them, we will join against these criminals. From February 2016 to February 2018 the global average temperatures dropped 0.56°C. Is this good or bad climate change?? Depends on whether ice coverage expanded or retracted during that period. Once the latent heat buffer of polar and glacial ice is gone AGW will be more dramatic. Also, nice picking of a very short time period. When they show cooling of any sort—and there have been more cooling months than warming months since anthropogenic warming began—there’s no story. Ah, a sight dedicated to lies. it looks like syndicated “fake media” again. They have now found soot from burning and black dust and even tyre particulates being swept along on the ocean now, and washing up on the polar ice caps. That is the only time you will see cooling until we have no more ice to melt!!!! they have stated that the black dust is attracting heat from the sun and accelerating the melting of the ice. Something previously not considered till now. Pseudo climate scientists who know nothing about the science of climate I presume? No, I haven’t looked at the links. Have better use of my time. roughly correct…from an all time high in an El Nino year…..and has no meaning in terms of climate warming. Not sure, but I do know that rising sea temperatures have decreased the fish population of Salmon farms in the Marlborough Sounds, leading to higher prices and less availability. It’s made it difficult for those in the restaurant industry to maintain consistency on their menus. A friend who owns a restaurant was explaining the impact of it in the weekend. I find visualisations like the following youtube much better at getting a feel for patterns and trends. One cherry pick stat is deliberately misleading…. why do it? Yup Graham attending was a non issue, he led the climate change cross party group in parliament. as it has been for decades….however the accumulated coral debris and sand is of little use and susceptible to dispersal by storms….and the main threat is salt water ingress….due to rising sea levels due to…wait for it…climate change. All coral atolls are porous and shape-shifting. To suggest this makes them of little use is directly contradicted by the people who have used them for millennia. And global sea levels are refusing to accelerate beyond the 3 mm/year that has been measured since accurate satellite measurement became available in the early 1990s. And yet we’re still told to expect almost a metre this century. Better hurry up, shouldn’t it? i agree we need to get very serious. Why do we need to seriously curtail our carbon emissions? ‘Rail not road freight is a start here’. Firstly take a look at this startling video by a prominent scientists projection data just recovered from satellite long term data from 2008 till now. Pine Island Bay off South America. This “Pine Island glacier” is the size of Texas. – Total collapse will cause a 11ft of sea level rise the study shows now.. Seems to me all the evidence in the world will not move some…..denial is an effective coping mechanism. It seems that the Climate change will eventually move them alright, as the sea levels rise and roads are un-passable. Then we will be building rail over the higher ground levels, as rail is more cost effective and will be cheaper to build than roads due to the less amount of land used. So we will be moved by Climate eventually but people are only motivated when they are impacted by these changes coming. I love your line about Bridges and misspeak I’m not sure if he is speaking at all or which side of his mouth the noise comes from!